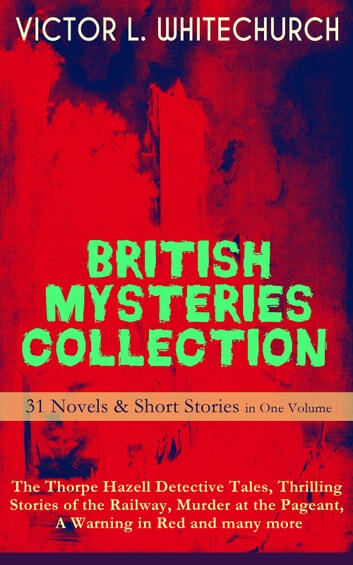 This carefully crafted ebook: "BRITISH MYSTERIES COLLECTION - 31 Novels & Short Stories in One Volume: The Thorpe Hazell Detective Tales, Thrilling Stories of the Railway, Murder at the Pageant, A Warning in Red and many more" is formatted for your eReader with a functional and detailed table of contents: The Canon in Residence Downland Echoes Murder at the Pageant Thrilling Stories of the Railway Peter Crane's Cigars The Tragedy on the London and Mid-Northern The Affair of the Corridor Express Sir Gilbert Murrell's Picture How the Bank Was Saved The Affair of the German Dispatch-Box How the Bishop Kept His Appointment The Adventure of the Pilot Engine The Stolen Necklace The Mystery of the Boat Express How the Express Was Saved A Case of Signaling Winning the Race The Strikers The Ruse That Succeeded Other Railway Stories A Perilous Ride The Slip Coach Mystery In the Rockhurst Tunnel The Convict's Revenge A Warning in Red A Jump for Freedom Special Working Instructions Pierre Cournet's Last Run Between Two Fires The Triumph of Seth P. Tucker A Policy of Silence In a Tight Fix The Romance of the "Southern Queen" Victor Lorenzo Whitechurch (1868-1933) was a Church of England clergyman and author. He is best known for his detective stories featuring Thorpe Hazell, the first amateur railway detective, whom the author intended to be as far from Sherlock Holmes as possible. Another Whitechurch's character was the spy Captain Ivan Koravitch. His stories were admired for their immaculate plotting and factual accuracy. 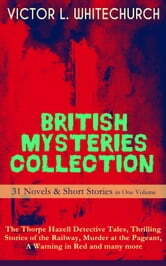 Whitechurch was one of the first writers to submit his manuscripts to Scotland Yard for vetting as to police procedure.